Welcoming back the Cruise to the Edge family…The Norwegian Pearl! This Jewel Class ship has been designed specifically for the concert cruise market. Featuring five (5) of the hottest venues on the high seas, incredible dining options and adding to it the friendly and attentive service that NCL is well known for…this experience will impress even the most discerning cruise and music fan! Not to mention, the NCL Pearl has recently undergone an extensive makeover. Each and every stateroom was touched in this dry dock modernization. All accommodations received a completely refreshed look with cool blue hues reminiscent of the calming ocean with silver and turquoise accents. 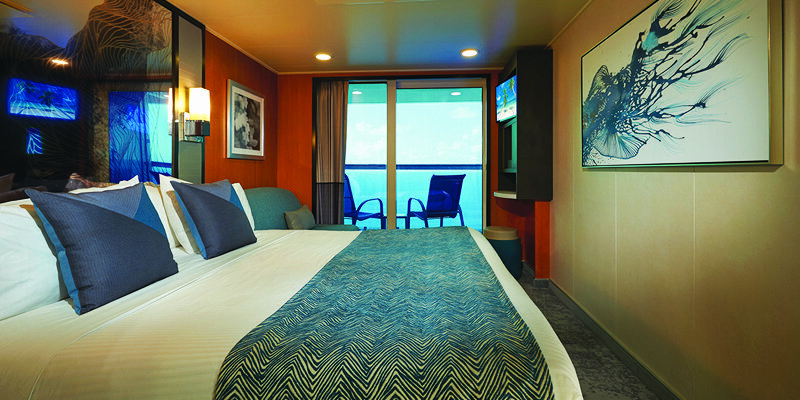 Each stateroom features new furniture, new carpeting, new headboards, new televisions as well as the addition of USB outlets where guests can charge their handheld devices. 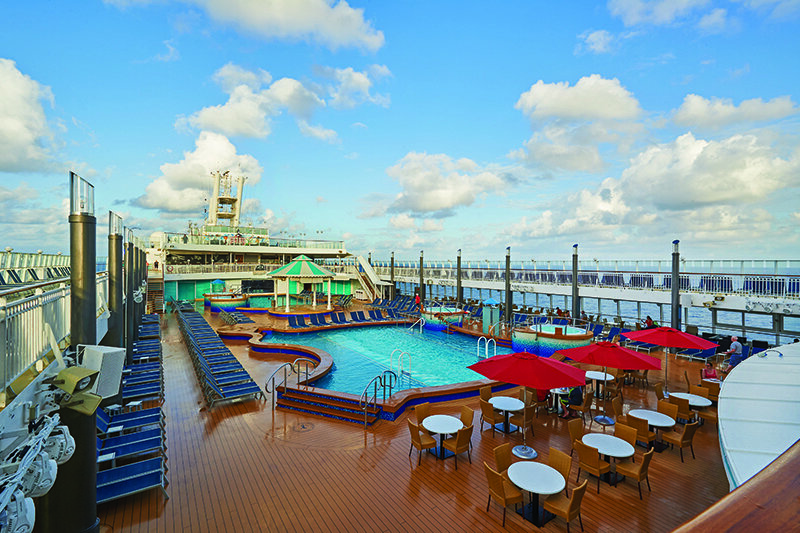 Norwegian Pearl’s famed pool deck with Concert Stage, where guests congregate to bask in the sun while watching incredible bands and Artists, now features fresh flooring, refurbished whirlpools and a clean new contemporary look. The NCL Pearl is known for an unbelievable amount of dining and lounge options and all restaurants and bars received a makeover bringing the overall look similar to the newest NCL vessels in the fleet. So…grab a glass at Magnum’s Champagne and Wine Bar or a pint at Maltings Beer and Whiskey Bar. Prefer something straight up? Why not stop into Shakers Martini & Cocktail bar…the options truly are endless! Of course, what is a good drink without incredible cuisine to go with it? With so many both Complimentary and Specialty Dining options, you can find whatever your heart desires! Anything from casual to formal, pizza at 3 am or even if you don’t want to leave your stateroom…the Pearl’s dining options will satisfy whatever you crave! What about entertainment? The Pearl has that handled! Of course, we are helping her out with amazing performances and events throughout the ship, however if you need a quiet moment, you can always relax by the pool or take a moment for yourself in the Mandara Spa. Need some exercise? Get your workout on at the incredible Body Waves fitness center or head up to the rock-climbing wall for a good sweat! Looking for some late night fun? After the last show, grab a cocktail and some friends and STRIKE up some fun at the 4-lane bowling alley on board! The Pearl has everything you want in a vacation…add in some incredible music and you are in heaven from start to finish! For a Virtual Tour of the Pearl, Click Here.